For an introduction to the main topic please follow this LINK to Part 1. During severe injuries athletes experience some kind of sensory deprivation regarding the balance system. By that I mean the state of inactivity an athlete is in – no accelerations, no odd positions where the athlete has to control his body. The balance system allows for a clear vision while moving, determines direction and speed of movement and it ensures adjustment of posture in a variety of situations (Shumway-Cook & Woollacott, 2001). Part 2 of the Injury Rehab 2.0 series will cover the possibility of dynamic movements in the early stages of rehab with a bungee suspension and the effect on the sensory system that is responsible to control your body in time and space. In figure 1 you can see how externally and internally gathered information is processed and arranged to lead to actual movement and postural control. During a severe injury there are no taxing situations on the balance system. By that I´m not referring to balancing on an instable surface but to dynamic athletic movements which in an injured state are not possible to execute. I understand the intent of rehab staff to use unstable surfaces to provide a proprioceptive stimulus for an injured limb, as there is some evidence that this might be helpful in improving functional measures like single leg squat (Oliver et al., 2009), hamstring torque (Myer et al., 2006) and counter movement jump (Kean et al., 2006). Those findings should be taken with a grain of salt because static control might be not the same as dynamic control and certainly not the same for the sensory system. That being said I am also not referring to traditional dynamic balance exercises (e.g. Star excursion) because they have no big displacements of the center of mass like in running, jumping and cutting. The body should still get the stimulus of moving and project themself fast through space during the absence of sports. Exercise: For further understanding now stand up and lean into the wall like in a wall drill: 45 degrees body angle and hands against the wall. Feel the activation in your abdominal and lower back muscles with one hand – abs feel slightly engaged whereas the lower back muscles not (note: the spinal extensors have a higher resting muscle tone). Now is where the magic of dynamic postural control will hit you! Leave one hand on your abs and try to come off of the wall with the other hand for as long as you can – you should fall down if you don´t catch yourself with the same hand on the wall. Repeat it while putting the free hand on your abs and then pressing into your lower back à Both turn on by themselves because the body is trying to control the posture and protect the spine. 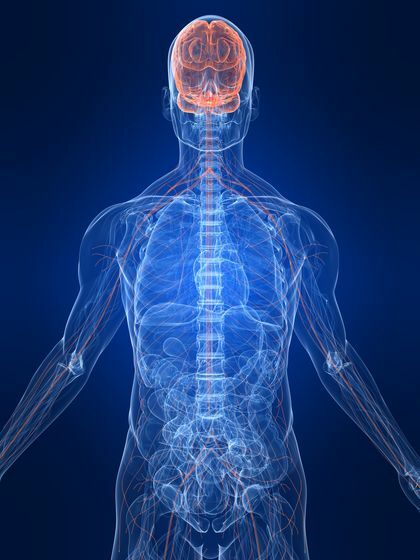 As we are creating a highly instable environment our sensory system knows what to turn on. We don´t even have to brace or consciously provide “stability”. This phenomenon only may occur when our center of mass leaves our center of body and/or in highy dynamic situations like athletic movements. Again, in this article I want to follow the path of specificity in training and rehab which should not be too different because it´s still the same body. Special circumstances like injuries require a different “HOW” and “WHAT” but always the same “WHY” we are doing what we do. One of my biggest concerns is to make the athlete move better, more powerful, more efficient and also feel better. From there we need something that stimulates the balancing system to a higher degree for more complex and fast postural adjustments as well as producing directional accelerations with proper technique. This ensures a nice blend of gathering postural information and arranging the motor output for a specific acceleration pattern. It is also important to get the body stepping outside of the center of mass which most likely triggers specific co-activation patterns (e.g. lumbar and abdominal muscles contract at the same time) due to control mechanisms of the body. The bungee suspension allows for partial weight-bearing exercises – reduce the load on the affected area and therefore execute functional movements in the early stages of rehab. Another big factor is the possibility of non-weight bearing activities – free movement of single parts or lying in the bungee system and executing whole-body acceleration and balance tasks while producing accelerations with proper timing. This video is a good example of how a bungee suspension can be incorporated in rehab – pay attention to the partial and non-weight bearing exercises as well as possibilities for dynamic whole body movements without loading in flexed positions of the knee (athlete had lateral meniscus refixation). This method challenges rehab professionals to reevaluate traditional methods. The “WHY” is the same: restoring proper function relative to the sport. In my perspective the body needs more chaos and more complex movement patterns to adapt to and enhance the almost infinite possibilities of our brain and sensory system especially in team sports. With that being sad I am not neglecting the importance of physical therapy and restoring strength capacities. As stated in Part 1 of the injury rehab 2.0-series the ultimate goal should still be “return-to-performance”, simply speaking, provide a return-to-sport not less than at preinjury level (Ardern, Glasgow & Schneiders et al., 2016). By providing a new movement experience with the bungee suspension the athlete potentially enhances his body awareness which in turn could reduce reinjury risk and performance on the field. The “evidence-enthusiast” in me wants to mention that some research needs to be conducted in an experimental setting to analyze the effects of using a bungee suspension in rehab. Nevertheless, professional and recreational athletes using the bungee suspension in rehab and performance training report a better body awareness, readiness to perform, muscle soreness and having a lot of fun. A lady in her 70s was forwarded to me with “post” rehabilitation problems. She had been in rehab because of a car accident with the result of a slipped disc in the lumbar region (S1/L5-Spondylolisthesis, Meyerding 2) and other minor fractures. She was a chic old lady wearing pumps and jewelry. Imagine her having a walking pattern like Robocop with a rounded back and severe insecurity. After the first 10 min swinging in the bungee suspension her walking pattern and posture changed dramatically as well as her mood. After only 4-6 sessions of bungee workouts and obstacle courses (walking) she managed to do an acceleration run – return-to-performance higher than preinjury level. Pure confidence in your motor abilities is the best feeling in the daily life and sports. On top of that seeing a woman at the age of your grandmother regaining her quality of life is priceless. Ardern CL, Glasgow P, Schneiders A, et al. (2016). Consensus statement on return to sport from the First World Congress in Sports Physical Therapy, Bern. British Journal of Sports Medicine, 50, 853-864. Myer GD, Ford KR, Brent JL, Hewett TE (2006). The effects of plyometric vs. dynamic stabilization and balance training on power, balance, and landing force in female athletes. 24. Journal of Strength and Conditioning Research, 20(2), 345–353. Oliver GD, Di BR (2009). Functional balance training in collegiate women athletes. Journal of Strength and Conditioning Research, 23(7), 2124–2129. Shumway-Cook, A. & Woollacott, M.H. 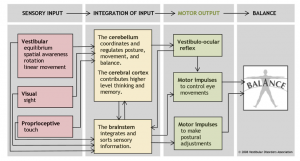 (2001) Motor Control: Theory and Practical Applications. Philadelphia: Lippincott, Williams & Wilkins.